Dr. William Li, is a renowned doctor, scientist, and angiogenesis expert. His groundbreaking work has impacted more than 70 diseases – including cancer, diabetes, blindness, heart disease, and obesity. Dr Li’s wildly popular TED Talk “Can we eat to starve cancer” has garnered more than 11 million views. I’ve been a fan of Dr Li since I first saw his TED talk in 2010. 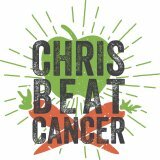 Dr. Li has held faculty appointments at Harvard and Tufts University and founded Eat to Beat Cancer, which is a community of 60,000+ people who are passionate about using diet to fight cancer. Angiogenesis is the process by which tumors form new blood vessels to grow, but there are anti-angiogenic compounds in food that block this process! And those were many of the same foods I ate every day to help my body heal. Please enjoy my interview with Dr. Li as he shares his amazing deep knowledge of anti-cancer nutrition science with you and the power of anti-angiogenic foods! « How Danielle Wotherspoon healed breast cancer naturally in 2009!